One of the most stunning ways to set off your project. Let our stone masons create a work of art in your yard. 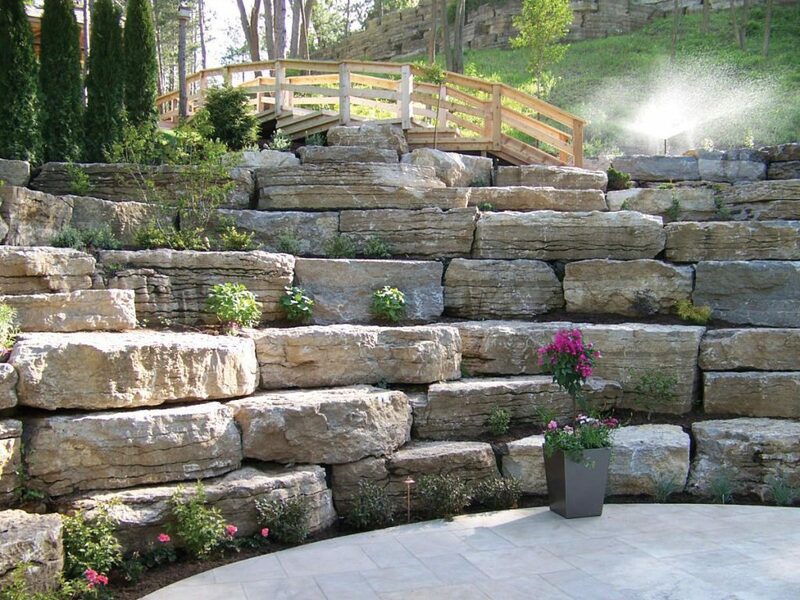 From natural stone retaining walls to flagstone patios, we will create a lasting impression on your yard. The use of proper materials and proven durable practices will create that natural oasis in your landscape project. The use of landscape rockery creates a natural unobtrusive look that will draw you into your yard again and again. It generates praise and appreciation and offers an array of ways to achieve it. Need to change the look of your brick?